This lovely Russian couple absolutely adores Canarias’ islands. They love them so much that they go in vacation there every winter. Therefore, when they decided to get married, the place of the wedding was an evidence, they wanted a Canarias Island. 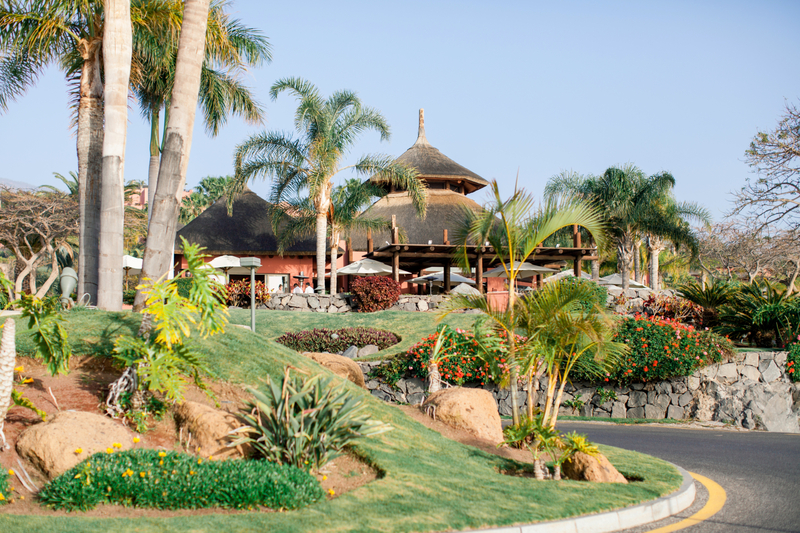 They choose the island of Tenerife, one with the most marvellous landscape of all and with a very good climate. 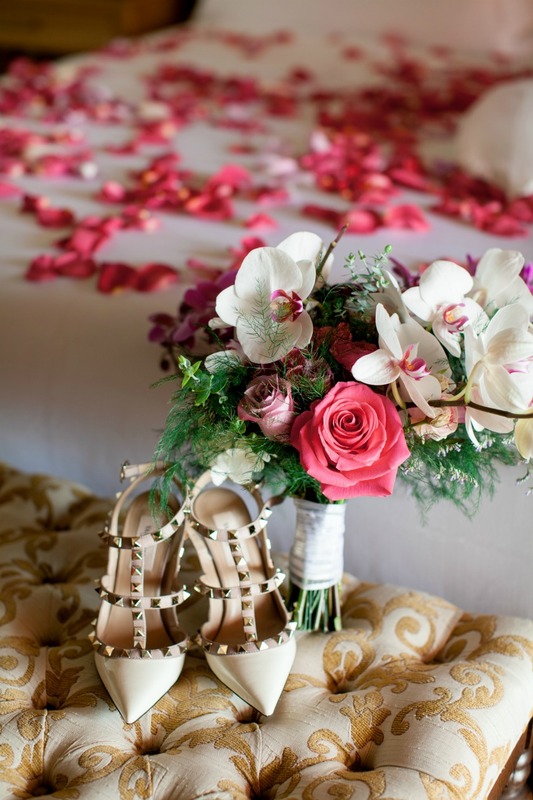 From the beginning of the organization of the wedding Anita, the bride was sur she wanted a colourful wedding. For that reason, when her and her future husband gave us the organization of their wedding, we thought about doing a ceremony with a fabulous sea view and full of colours such as green, blue, and yellow. With those criteria, we proposed the hotel ‘The Ritz-Carlton, Abama’ in Tenerife for its so wonderful views on the sea. The bride, Anita, advise all their guests about the dress code. She wanted everyone to wear colourful outfits. 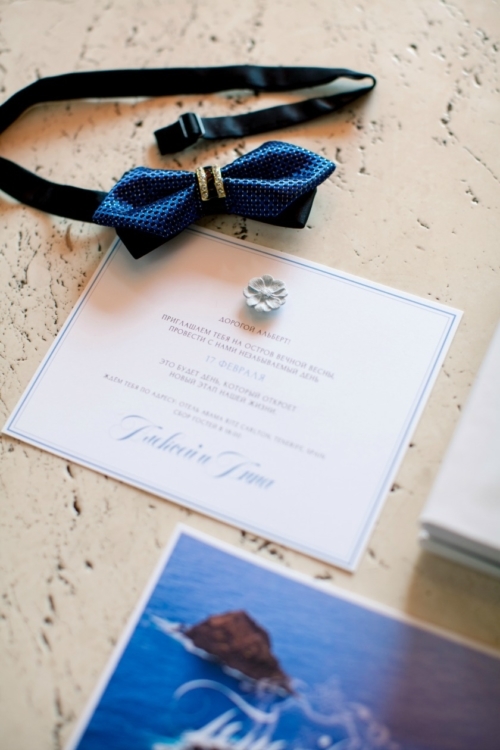 Therefore, we choose to send with the invitations, little gifts that the guests had to wear the day of the ceremony. Women had a flower and men had Bow Ties. Anita and Alexey decided to get married in February. It was supposed to be a sunny period in Tenerife but two days before the D-day, rain invited itself. We thought about moving the all ceremony which was supposed to take place outside in the inside of the hotel. Anita and Alexey were so lucky that the day of the wedding, the rain did not come. Therefore, we choose to stay with the first script, the one where the ceremony was outside. We started to decorate, put flowers, install the wedding arch in the morning close to the sea. Suddenly, the wind has risen. As we install everything close to the sea, decoration started to get wet and the flowers did not hold. 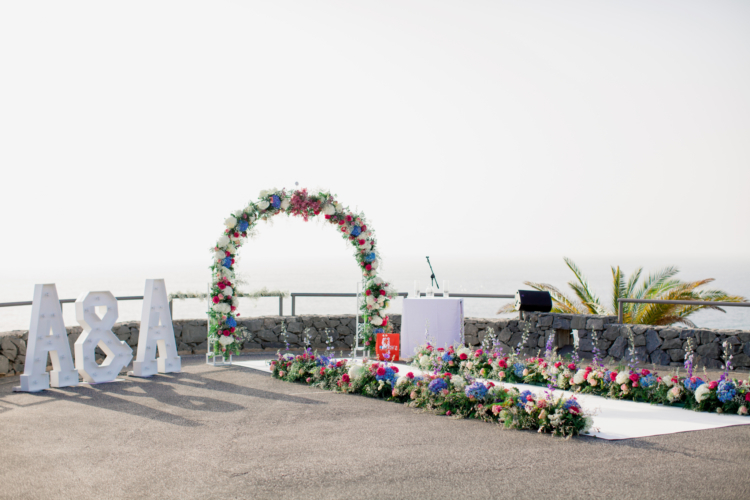 At this moment, we decide to move the ceremony to a lookout point because having a view to the sea was important for the bride and groom. When Anita and Alexey arrived in their convertible car to the ceremony’s place there was a lot of fog. That gave a special atmosphere and a “wow” effect that everyone loved. After the wonderful ceremony, everyone went to celebrate in the Russian way. First, a famous actor from Russia came to congratulate the newlyweds. We also organize a lot of games between the married couple and their guests. Eventually, the celebration ended far into the night with a karaoke. 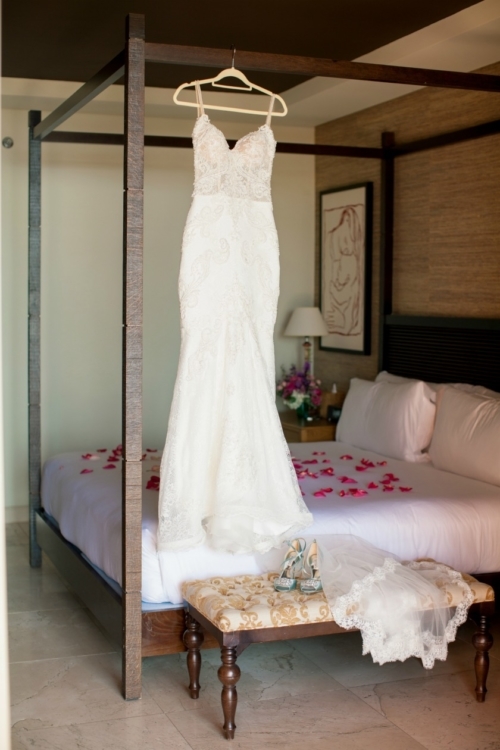 One of the favourite activities of the bride. So much drawbacks happened for this wedding. 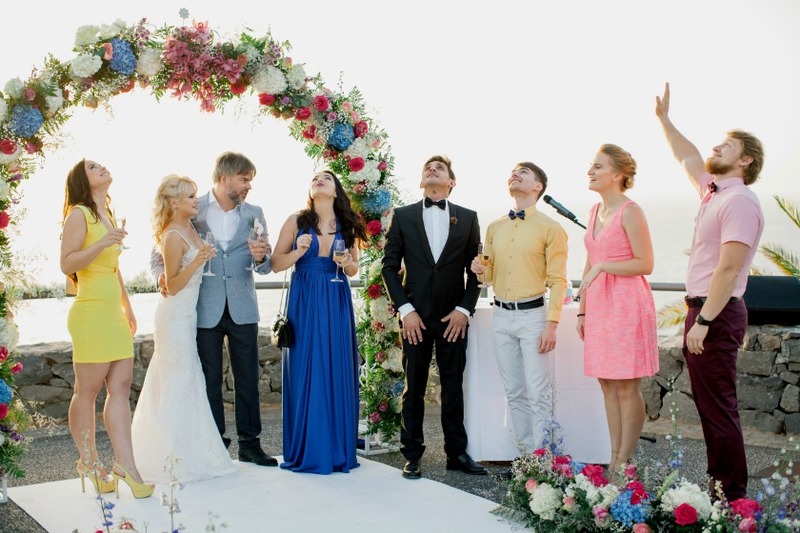 We managed to handle it quickly so that Anita y Alexey enjoy the most of their wedding. They were very happy of the celebrations and thanks us with all their heart for our work.